Hey New Years Eve everyone! Only a few hours left until we leap into 2014! Crazy. I think 2013 flew by, but I am so ready for 2014. I have a feeling it is going to be a very exciting and hopefully rewarding year. Yesterday I shared my “guiding purposes” with you that I would like to motivate me through the year, but what about all the memories that will hopefully be created? How will I remember all the laughs, triumphs, events, and love of 2014? 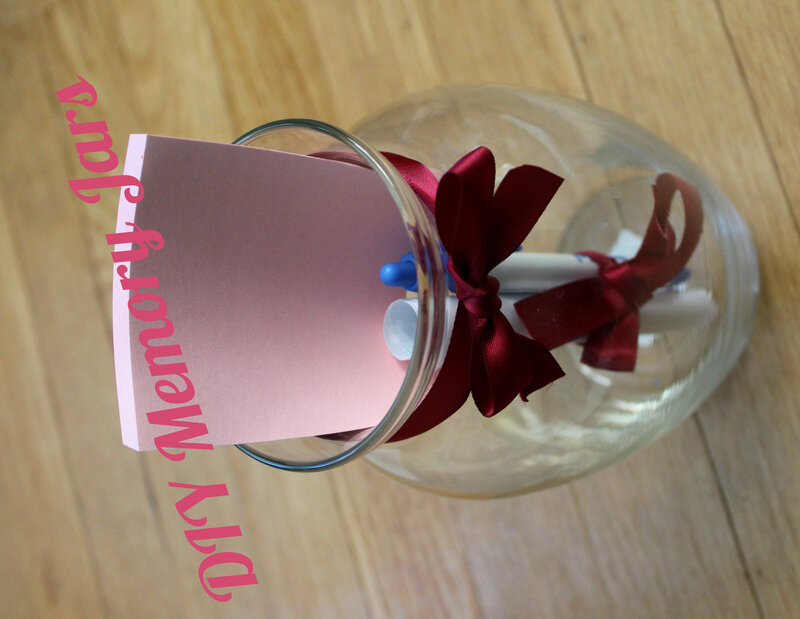 Why, a DIY memory jar of course! This is the DIY gift I kept talking about before Christmas and that I would be making for my family. Since we won’t be together for a lot of 2014 I wanted a way for us all to be able to share our memories when are are together. All you do is write down memories, events, really anything you think is important and want to remember. You can write something down every day or just do it when something really sticks. But then on 12/31/14 you pour out all the little notes and reread them and reminisce! I bought the supplies for 3 jars, silly me forgot to make one for myself so I will have to do that ASAP :P, and I got to work. Supplies: (for 1 jar) I got everything at the dollar store!